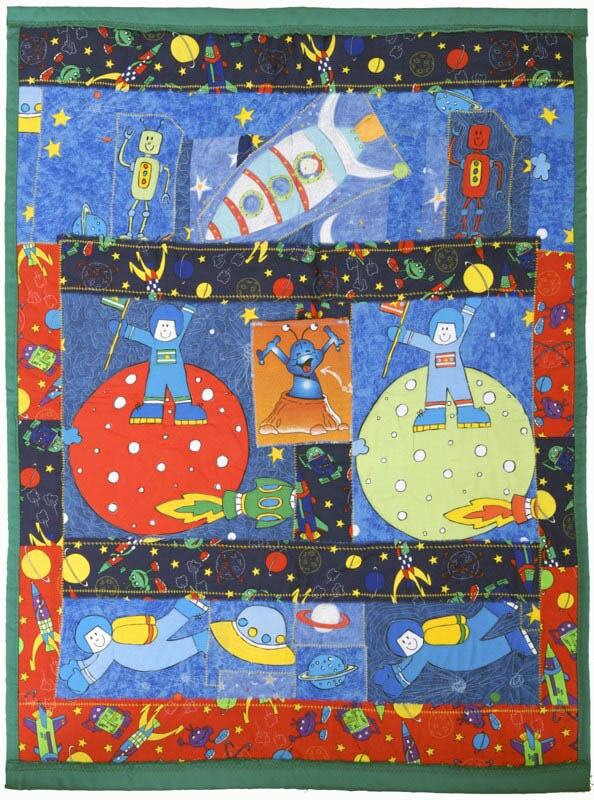 The colours and characters on Jean’s individually made quilts tempt children and adults alike to reach out and touch them. 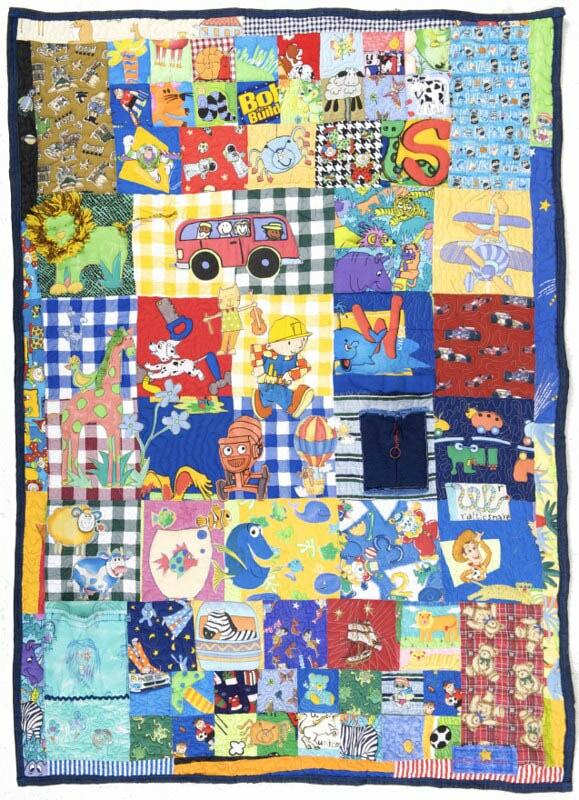 Developing the senses, fine motor skills and memory, these textured treats invite you to tie shoelaces, match the pictures, fasten buttons or play I-spy. 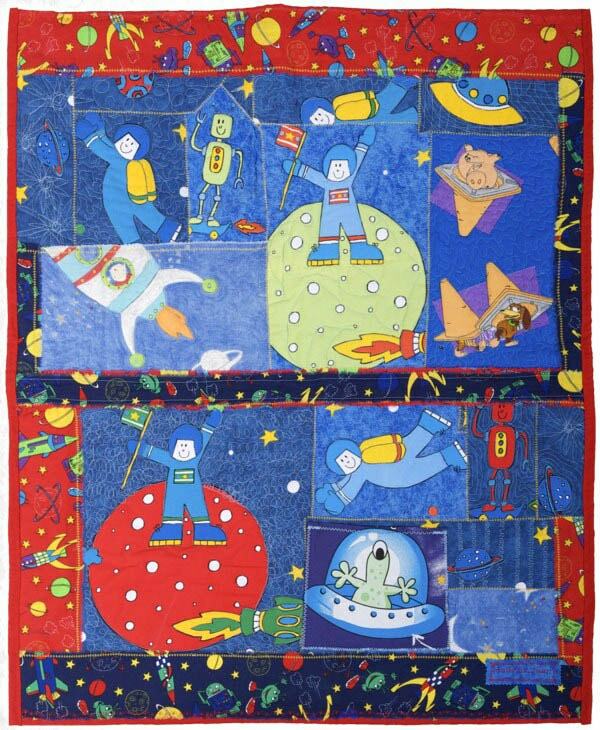 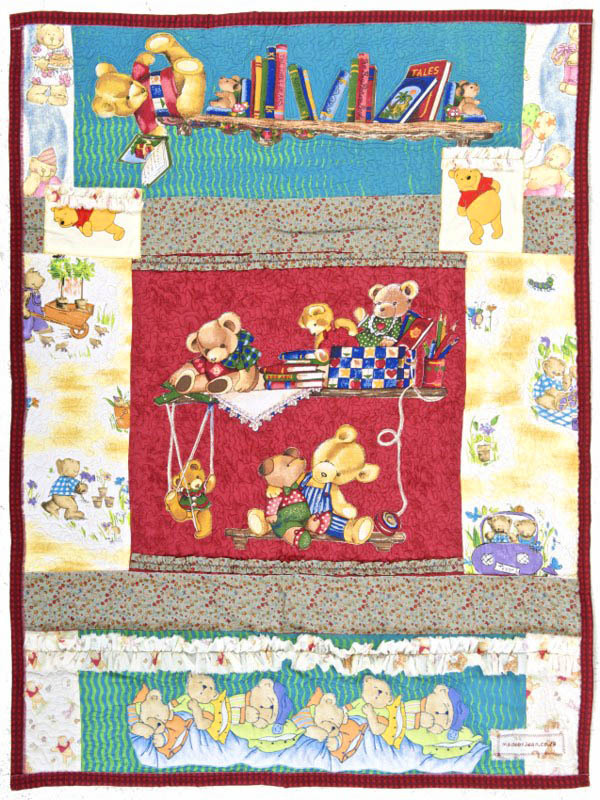 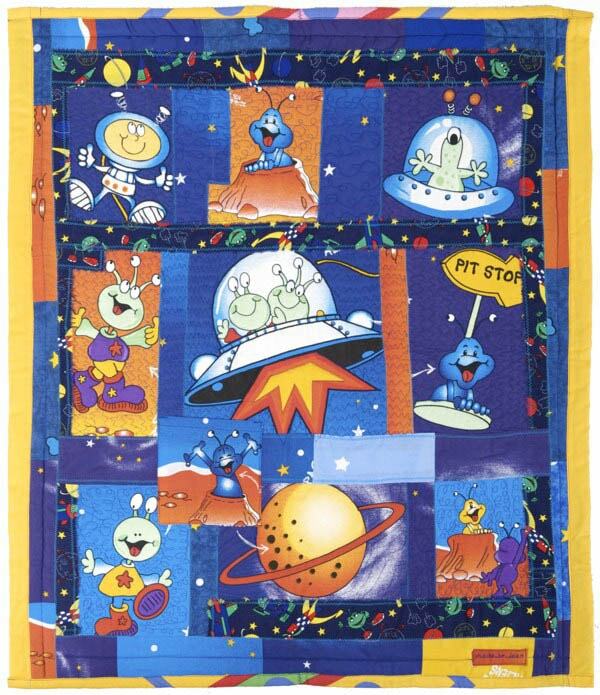 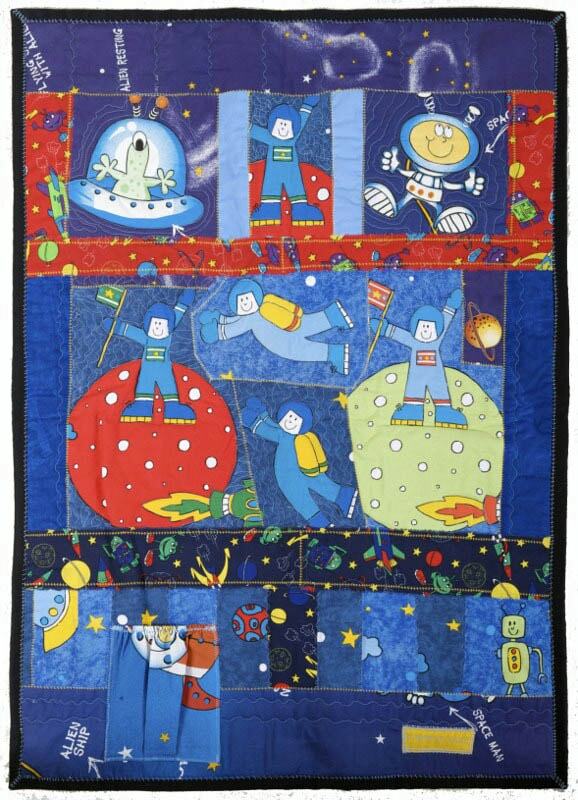 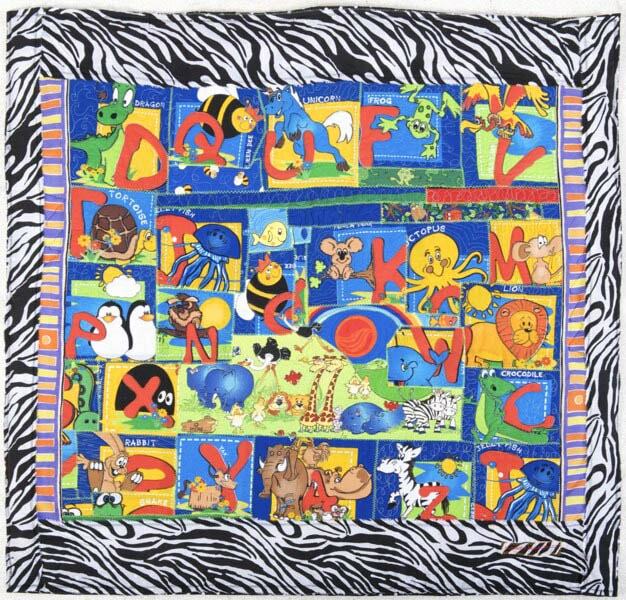 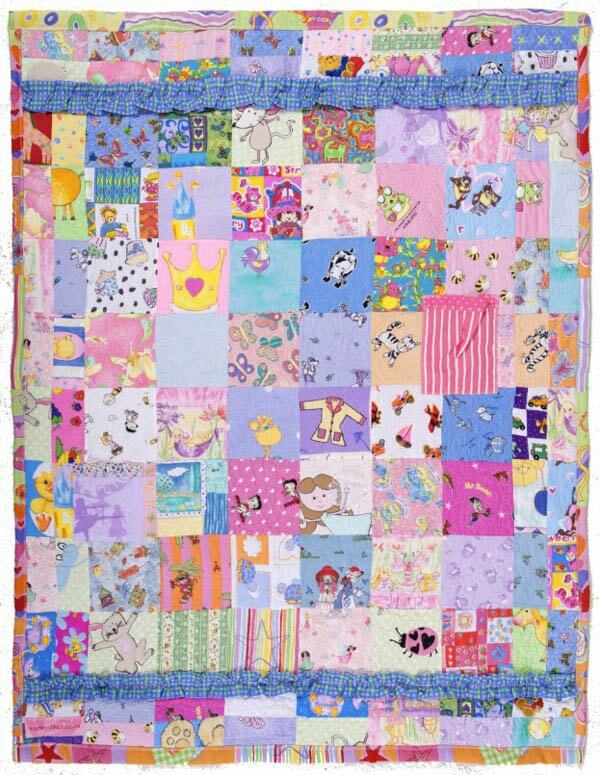 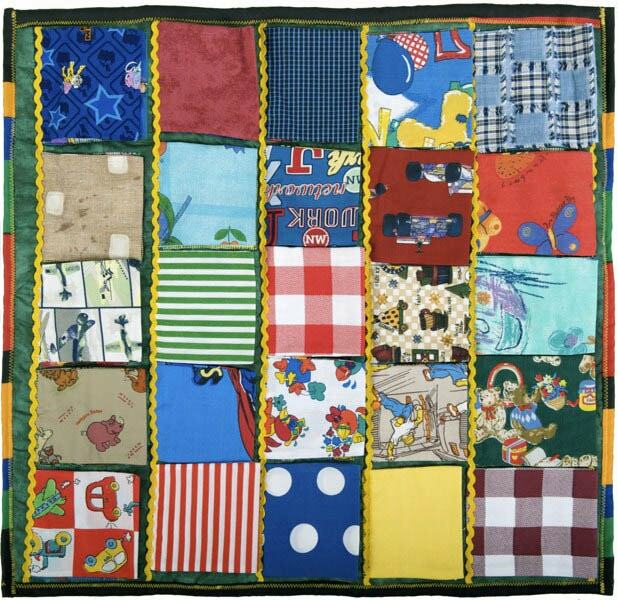 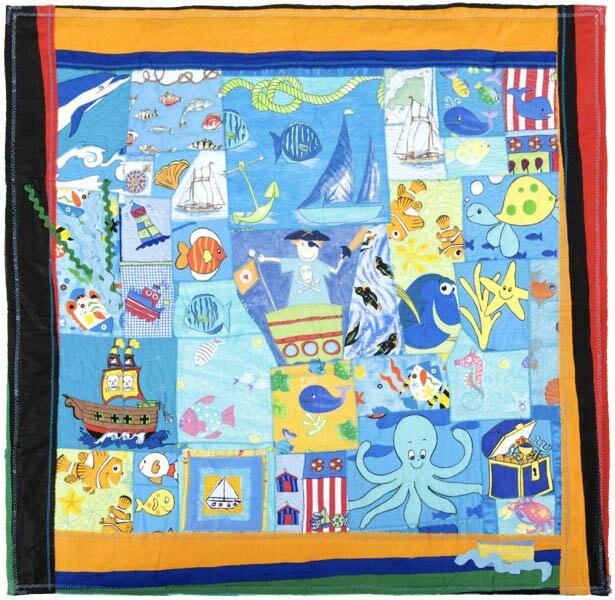 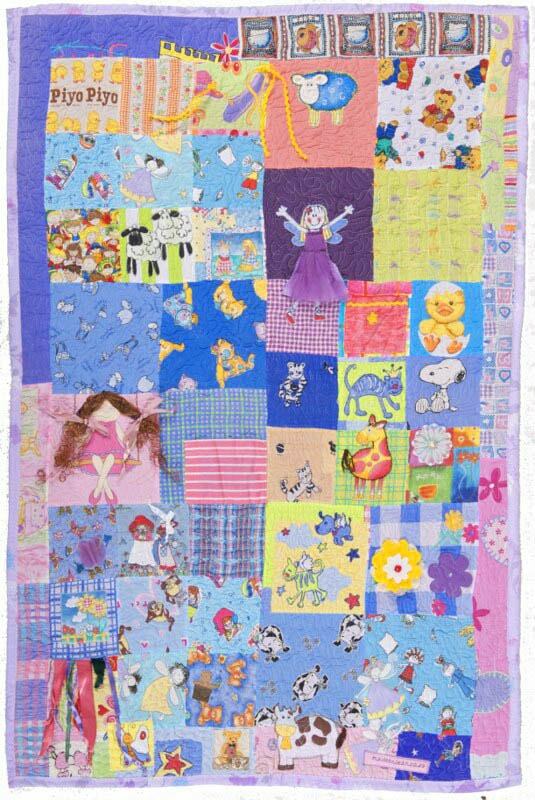 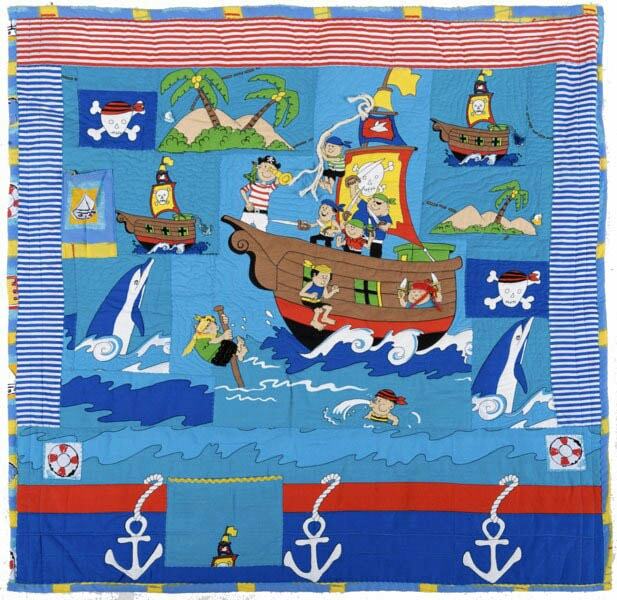 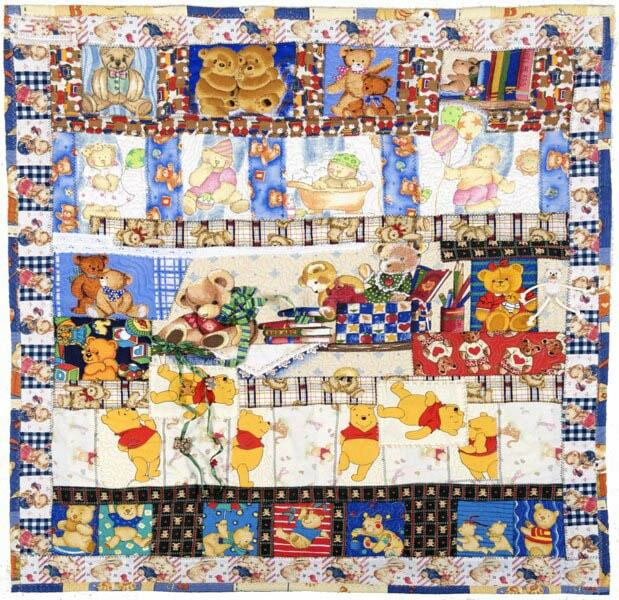 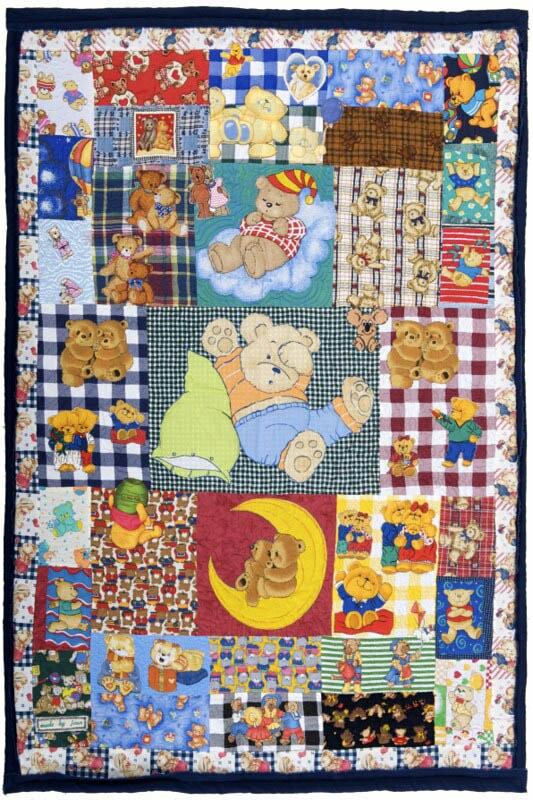 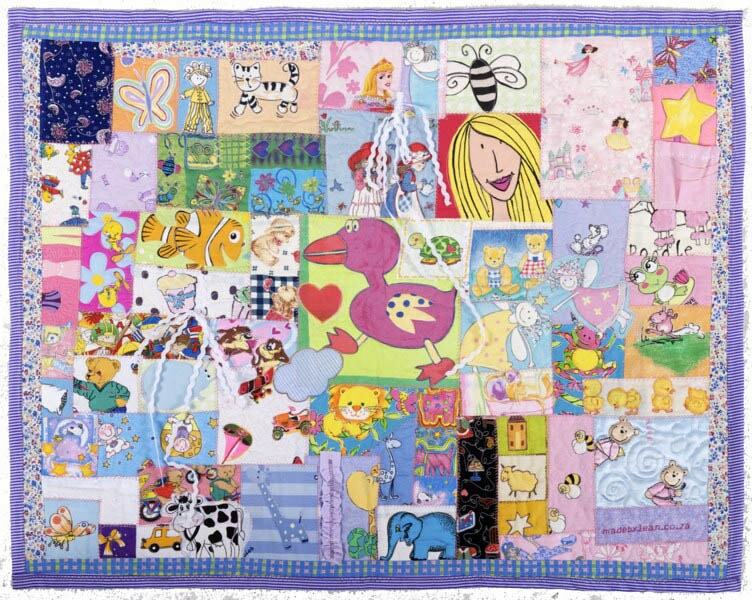 With a variety of different themes ranging from spacemen to waterworlds to teddy bears and clowns, the Talking Quilts can be made to suit any age, taste or activity level. 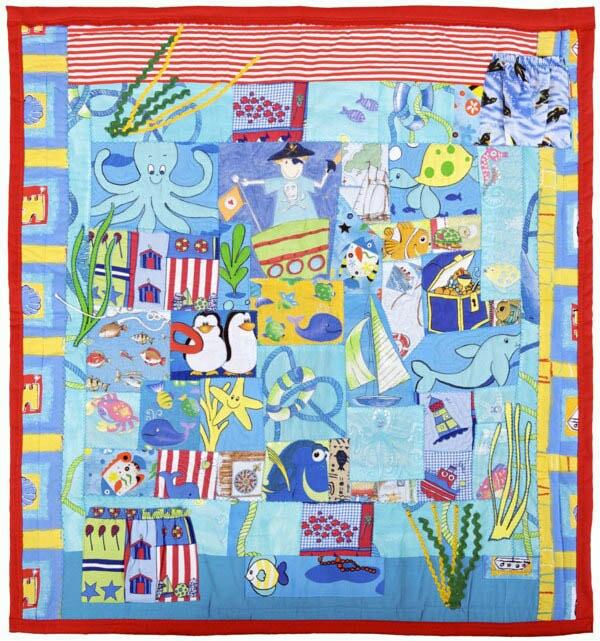 Unfolding a one-of-a-kind quilt means discovering a new pattern or detail every time – keeping your young one (and you too!) 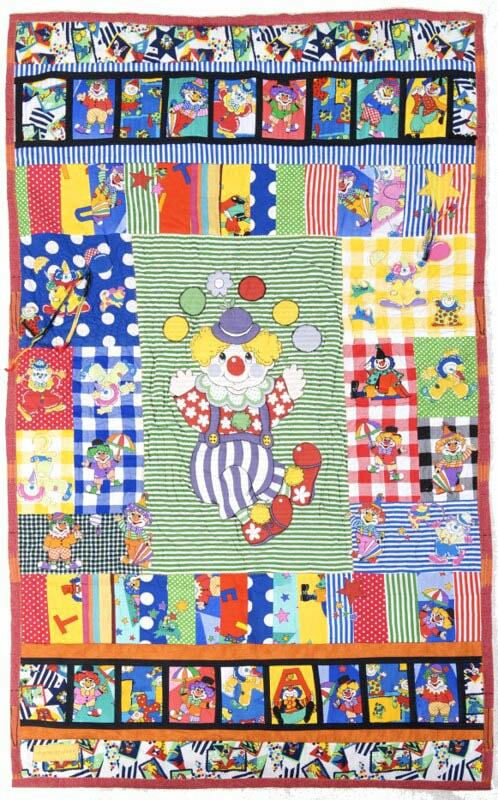 entertained for ages. 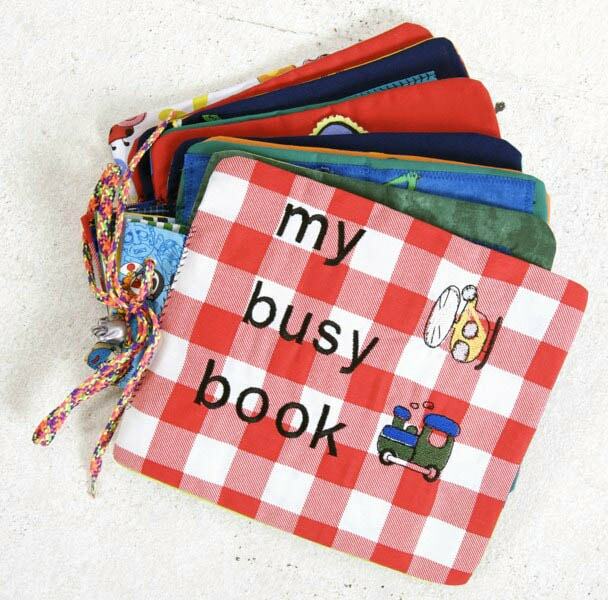 Everyone has a favourite blankie, doek or book. 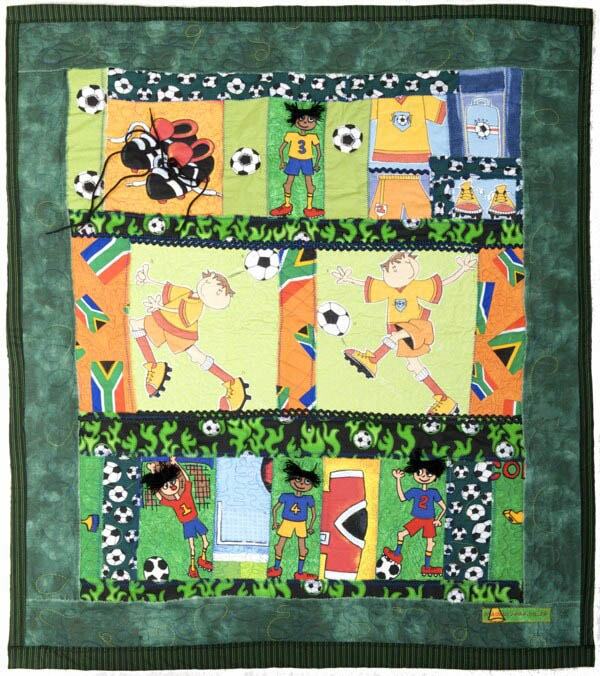 Why not give your child something truly special?